If you’re the sort of driver that prefers luxury to outright speed and the last word in handling sharpness, then the cars here should certainly appeal. Here's the top 10 that are most popular with you - our readers - as decided by the number of page views. 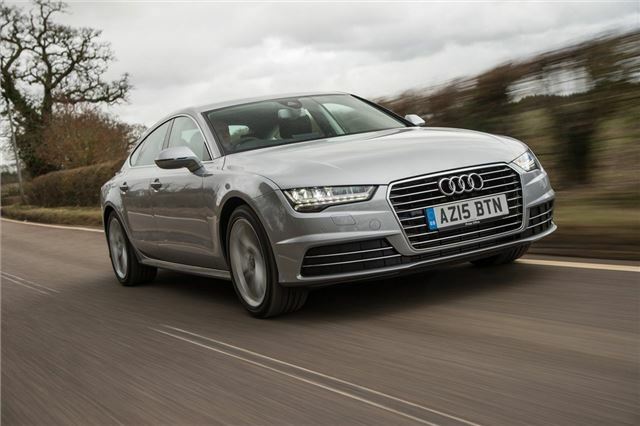 The A7 is unusual in this company coming as it does in five-door hatchback format, but that only adds an extra layer of practicality to this luxury offering. There’s a lengthy standard kit list and the cabin is very comfortable and beautifully screwed together as you’d expect from Audi, but there’s also a strong range of engines that includes a supercharged, 3.0-litre TFSI petrol and the stonking 313PS BiTDI diesel. Quattro four-wheel drive is standard on higher spec models and optional on most other variants and delivers terrific all-weather traction, and the ride quality is suitably cosseting if you avoid the sportier suspension and bigger alloy wheel options. Why not include the top value Hyundai Genesis in this line-up? It is a rare car! I bought one in January and it's the most lovely car to drive. It feels lively, but also cossetting. All the toys you have to pay for in the rivals are standard. Oh, and finding a used one is the bargain of the century!